Home Decor Furniture | Amish Originals Furniture Co.
Furniture doesn’t have to be just furniture. It can be something beautiful, sturdy and long lasting. Home décor furniture from Amish Originals is not only durable, each piece is unique and beautiful. Handcrafted in the homes and small workshops of Amish craftsmen, our Amish made home décor furniture is a legacy worthy of passing on from generation to generation. We offer high quality home décor furniture built from American hardwoods in a variety of styles. Since each piece is handmade to order, purchasing home decor furniture from Amish Originals means you’re not just getting furniture, you’re getting a unique work of art. Amish Originals has no assembly lines and no cheap plywood. Each piece of our home décor furniture is instead made with 100% American hardwoods and will stand up to the test of time. Why go to a big box store and get furniture you’ll have to replace in a few years when you can get sturdy Amish made home décor furniture that will become a family heirloom. 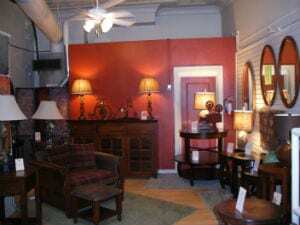 Our Westerville, Ohio showroom features a selection of beautiful home decor furniture. If you want to get an idea of the types of home décor furniture we offer before you come in, you can browse our site. It features many of the home décor items we offer; whether you’re looking for mirrors, shelves, or bookcases. Our friendly staff is also available to help you with any questions you may have. If you’re looking for a specific piece that we don’t seem to offer, give us a call and we can work out a custom order. Since 1992 Amish Originals has been committed to quality, sustainability, local business and community. We make sure that our customers find the perfect home décor furniture and will go the extra mile to make sure that happens. If you have any questions about us, our practices or our home décor furniture do not hesitate to contact us today.